The Austrian subsidiary of the insolvent German chemist chain must find a buyer in order to prevent its own bankruptcy. 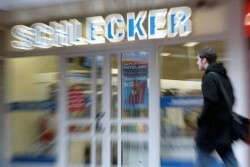 The search for an investor for the Schlecker Austrian remains difficult. In the last weeks, there were chances of finding a buyer. The Austrian MTH Group was said to take over Schlecker Austria. Now, the prospects have deteriorated.